Len Harris lives in the heart of Wisconsin's Driftless Area. 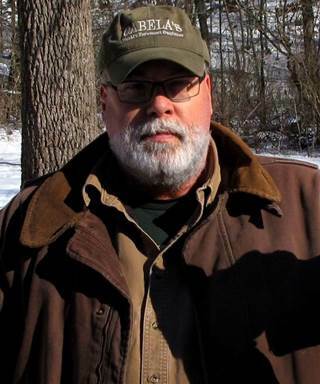 He calls Crawford and Richland Counties his home waters. He knows all the waters intimately from over 50 years of beating the bushes and wading way back in where few dare to explore. Len takes lots of photos when out and about. He has had many photos and stories in a few noteworthy magazines. A couple is American Angler, Midwest Flyfishing, and many more. Len is retired after 30 years in Law Enforcement. He tried his hand at guiding for a while but equated guiding to going to a gold mine without a shovel. 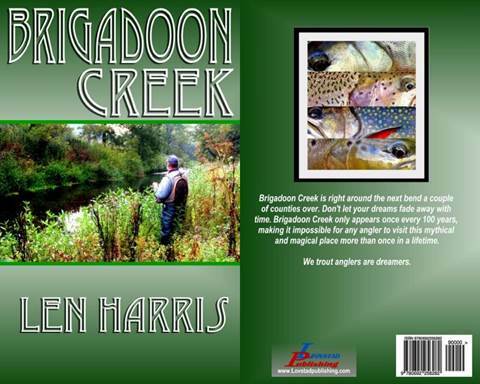 Brigadoon Creek is about the outdoors and what drives people to return every chance they get. The below excerpt gives you the gist of Len's book in a few paragraphs. About three months ago I made a comment to an acquaintance about trout fishing. I told him about how trout fishing was so important to me and he dismissed it. He said trout fishing was the least important thing he does in life and I shouldn't make it so important. I wholeheartedly disagree with him. Many people go to church to feel spiritual and feel in touch with the universe. I go into the outdoors to cleanse my soul. All the things in life that bother me are melted away about a hundred yards from the truck. The fish are only a bonus in the whole scheme of things.